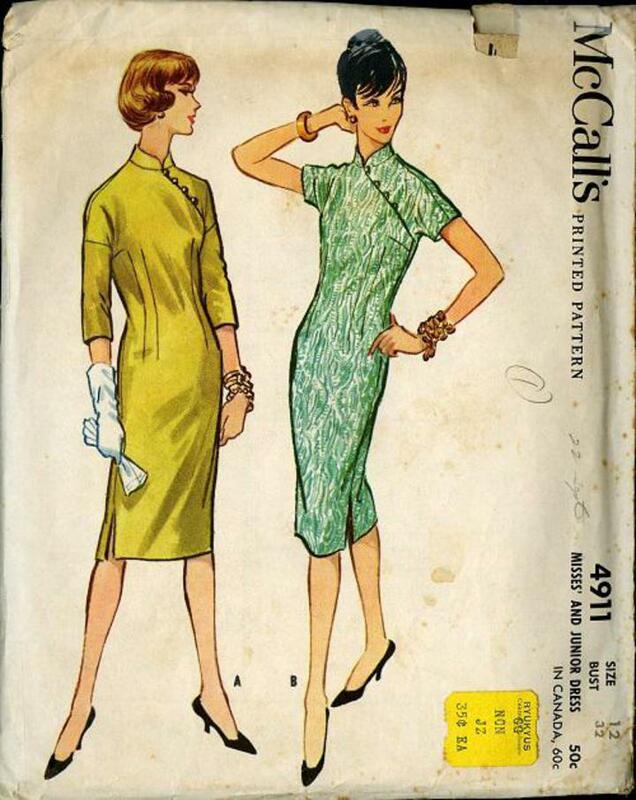 1959 McCall's #4911 vintage sewing pattern, misses' Mandarin style dress, size 12. One piece dress, lightly fitted by long darts back and front. Short kimono sleeves cut in one with back and front of dress. Lower sleeves may be added to make three-quarter length sleeves. Mandarin collar, left side zipper placket, vents in side seams, may be lined.